Many have led Italy’s long-fractuous center-left over the past two decades, but none have succeeded in building a durable coalition that can win an election and govern for a whole parliament. Achille Occhetto, the leader of the Partito Comunista Italiano, Italy’s then-Communist Party, failed miserably in the 1994 elections against Silvio Berlusconi. 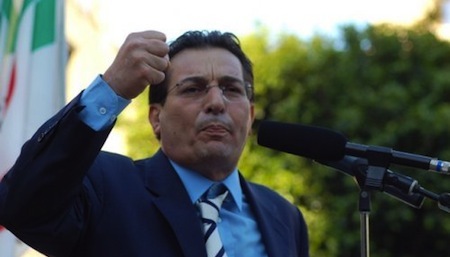 Francesco Rutelli, the former mayor of Rome throughout much of the 1990s, led the center-left L’Ulivo ‘Olive Tree’ coalition to defeat in 2001, and his successor, Walter Veltroni led the newly-formed Partito Democratico (PD, Democratic Party) to defeat in 2008. The only successful leftist has been the plodding Romano Prodi, who barely won the 1996 and 2006 elections, only to watch his coalitions, after both elections, crumble within a year or two. And that’s not even counting the pretenders, such as Massimo D’Alema, who succeeded Prodi as prime minister from 1998 to 2000 and who served as foreign minister from 2006 to 2008. With Berlusconi now (mostly) in the sidelines as the upcoming general election approaches, the Italian left is hoping to change that, and the first step will be November 25’s primary election to determine who will lead Italy’s broad left into the general elections, which will be held on or before April 13. 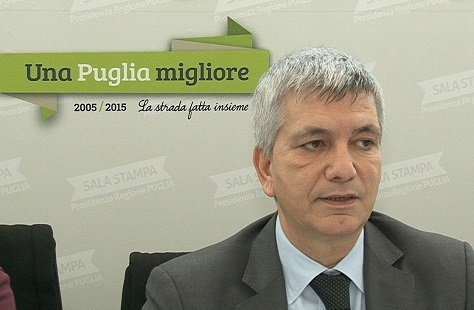 In addition to the PD, the more radical left Sinistra Ecologia Libertà (SEL, Left Ecology Freedom) of Puglia’s regional president Nicchi Vendola, the minor Partito Socialista Italiano (PSI, Italian Socialist Party), the centrist Alleanza per l’Italia (ApI, Alliance for Italy) launched by Rutelli in 2009 and the perennial anti-corruption party Italia dei Valori (IdV, Italy of Values) led by former prosecutor Antonio di Pietro. 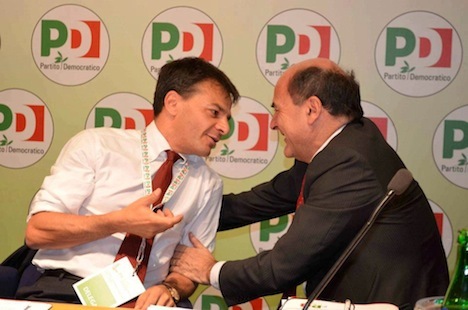 The current PD leader, Pier Luigi Bersani (pictured above, top), follows in the long line of steady, if boring and uninspired center-left politicians in Italy. He served as the regional president of the traditional leftist stronghold of Emilia-Romagna in central Italy from 1993 to 1996, as a minister in the Prodi and D’Alema cabinets in the late 1990s and most recently, as the minister of economic development in Prodi’s second government from 2006 to 2008. 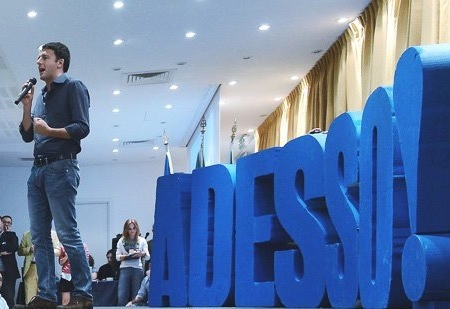 As economic development minister, he worked to bring about reforms to liberalize Italy’s labor market and its economy. 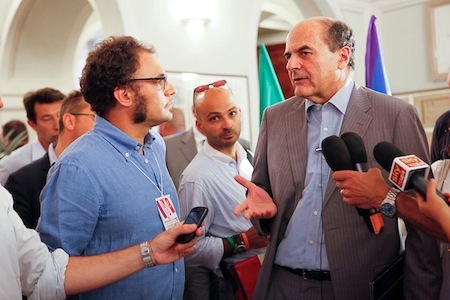 But at age 61, Bersani nearly personifies the staid tradition of the Italian left, and he would likely be a prime minister in the Prodi tradition — solidly leftist, but more of the social democratic variety than the socialist. 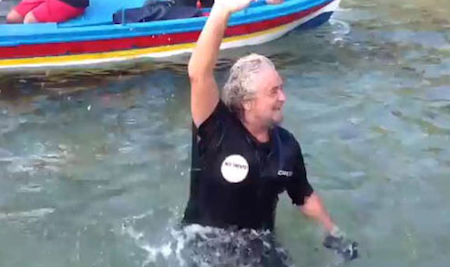 He has the support of most of the center-left establishment, including that of D’Alema. His main rival, however, is hoping to end that trend — Matteo Renzi (pictured above, bottom) is the 37-year old mayor of Florence, the largest city in the central region of Tuscany. 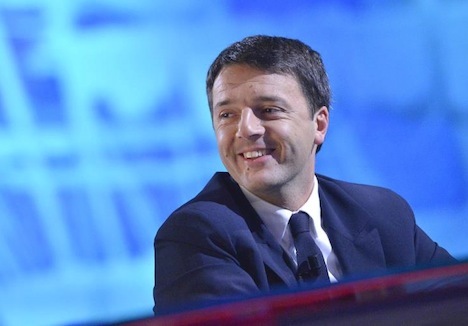 Renzi, who served as president of the province of Florence from 2004 to 2009 before his election as mayor, has called on all of the current politicians on the left and the right to step aside to make way for a new generation of leadership — presumably his. Despite Renzi’s considerably more populist approach to the primaries and to Italian politics, evocative of times of the ‘third-way’ style of former UK prime minister Tony Blair, both Bersani and Renzi would posture more to the center in the general election. 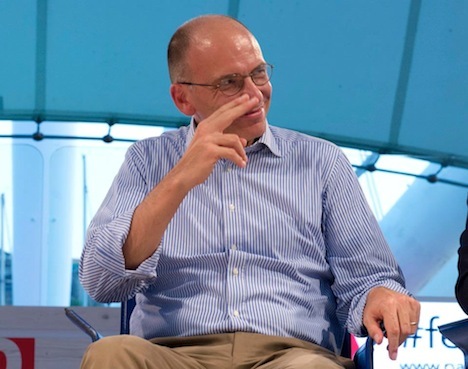 In addition to Bersani and Renzi, Vendola, who was served as Puglia’s leftist — and openly gay — regional president since 2005, is also running, to the strident left of both Bersani and Renzi. 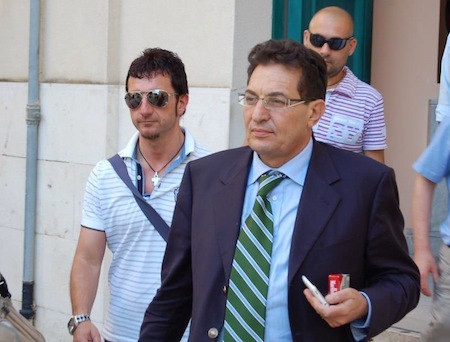 Bruno Tabacci of the ApI, a former regional president of Lombardy, and Laura Puppato of the PD, a regional councillor in Veneto, are also running. 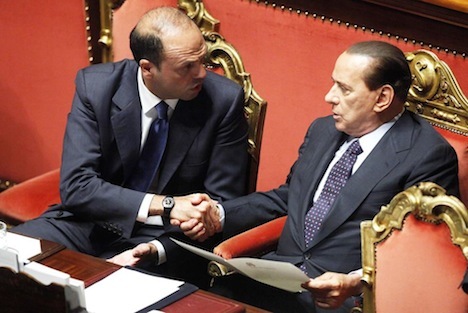 Is Italy headed into a post-Berlusconi ‘third republic’ era of national politics? 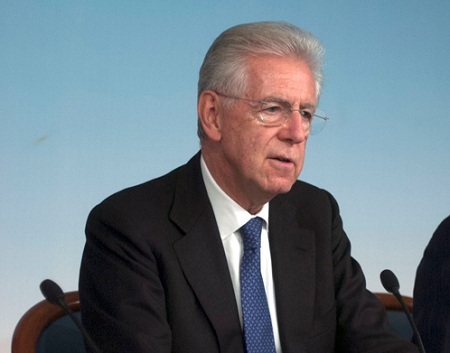 Silvio Berlusconi this week all but conceded that he would not run as the main center-right candidate for prime minister in Italy’s upcoming elections, due to be held before April 2013 — and he even hinted he could support a moderate coalition in favor of continuing the economic reforms of current technocratic prime minister Mario Monti (pictured above). I’m not convinced this is the last we’ve heard from Il Cavaliere, though, and I’m pretty sure this isn’t his last word on whether he’ll run in 2013. Berlusconi has been the central figure of Italian politics since 1994, so if he changes his mind tomorrow, or next month, or next year, he has sufficient money and control over Italian media to play a huge role in the upcoming election. 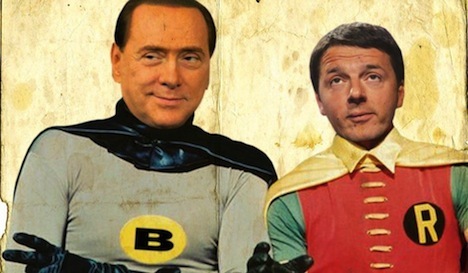 Current polls indicate, however, that most Italians are ready to turn the page on Berlusconi. Many political scientists and Italians alike consider the period from 1945 to around 1993 Italy’s ‘first republic’ — a period where Italy’s Christian Democratic party (and various allies) essentially controlled the government continuously, through less-than-stable coalitions that often split and re-formed in various permutations of the center-right and center-left. Despite consistently strong opposition from Italy’s Communists, the Communists never had enough strength — or were permitted to gather enough strength — to enter government. After the Tangentopoli (‘Bribesville’) scandal that implicated essentially every major politician in Italian public life in the 1990s, Italy entered its ‘second republic’ — an era that’s been dominated by Berlusconi and has featured somewhat more stability — Italian politics since the 1994 general election can be seen as a struggle between a largely rightist coalition and another largely leftist coalition (despite Italy’s reputation for pizza topping politics). Governments have been more stable, but media freedom has in some ways regressed, in large part due to Berlusconi’s overweening control of private (and sometimes public) media in Italy. If Berlusconi indeed remains on the sidelines in the upcoming election, however, we could see a tectonic shift in Italian politics that represents yet another era — a new ‘third republic’ — one where Italy continues to develop even more engrained democratic norms and stronger liberal freedoms. Even if that somewhat overstates the case, 2013 is set to become as much a transformative year in Italian politics as 1994. What’s striking is that, no more than six months before the next general election, what we know about the future of Italian politics is massively outweighed by what we don’t. The latest poll, as of October 9 from Ipsos, currently shows Berlusconi’s center-right Il Popolo della Libertà (PdL, the People of Freedom) winning just 18.0% of the vote, to 28.5% for Italy’s main center-left party, the Partito Democratico (PD, Democratic Party) and the Movimento 5 Stelle (M5S, the Five-Star Movement), a populist protest vehicle of popular comedian and blogger Beppe Grillo, with 17.4%. Those numbers, however, are very likely to change between now and the election. no other party wins more than 3% of the vote — the most notable of the smaller parties is the newly-formed free-market liberal Futuro e Libertà (FLI, Future and Freedom) of former foreign minister Gianfranco Fini, a former Berlusconi ally who once headed the neofascist National Alliance party (although he worked to move it from the fringes to the center).